Were we revived by ultraviolet light? 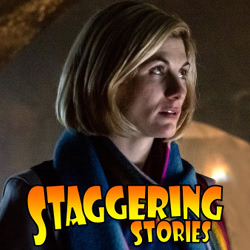 Yes, Staggering Stories Podcast 306: Seasonal Ranking is now available! Doctor Who: Ranking New Who seasons. Plus, as ever, lots of news (Doctor Who, Stranger Things, Batwoman and old people dying). More madness than detailing your rushed homemade slats!